All other areas are shown in black and white for better perception of the highlighted areas. 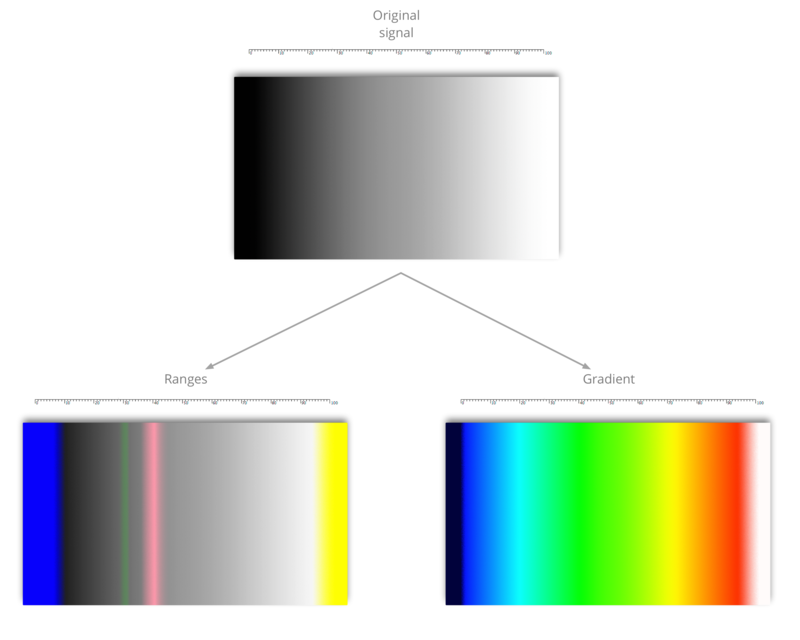 The Gradient mode shows a continuous range of video brightness levels from 0 to 100 IRE. The range starts from blue for clipped shadows (0 IRE) to white for clipped highlights (100 IRE). 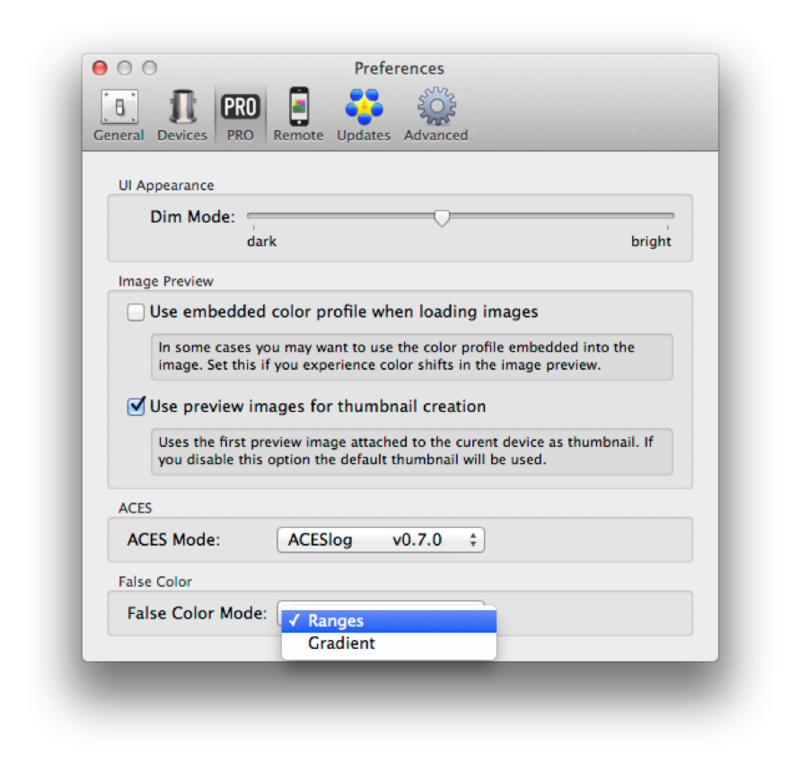 Figure 3: Enabling False Color mode in LiveGrade.